For the thousands of waste sites we regulate, we set out clear permit conditions to ensure that business operators take the appropriate steps to run sites safely. Most businesses manage their waste responsibly and within the regulations, but where they don’t, we work hard to take action. 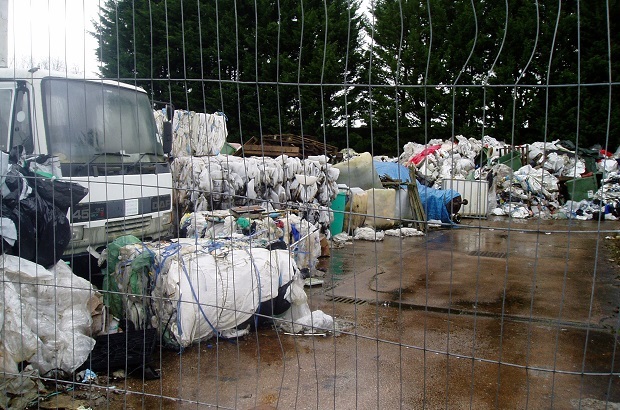 Recently in Cumbria, we received a number of reports from residents and the local authority that a large amount of waste had been left at a site which according to the notice attached to the fence had ceased trading. We carried out an inspection of the premises, which revealed that approximately 50 tonnes of waste had been left at the disused site. The waste was primarily loose and bailed plastics and paper which, without site security, posed a significant fire risk. We assessed that a fire here would have had major consequences, including potential spread to neighbouring units, almost certain temporary closure of the adjacent railway line and possible drainage in to a close-by river. After contacting the landowner and former tenant, it was clear that initially neither was willing to accept responsibility for the waste and they were both reluctant to undertake the clear up work needed. Despite these difficulties, we worked with the landowner and former tenant to help them address their responsibilities and understand the need to manage, handle, store and dispose of waste correctly. Our work resulted in the waste site being cleared of all waste in safe and secure way. Across the country we are cracking down on waste crime. Waste crime puts communities at risk, damages the environment, and threatens legitimate business. If waste is left illegally on any land, the responsibility for removing it can fall to the landowner or property landlord. You can check if a permit is in place on our public register. Everyone has a part to play – if you think a site may be operating illegally report it anonymously to Crimestoppers. Call 0800 555 111 or provide information online.